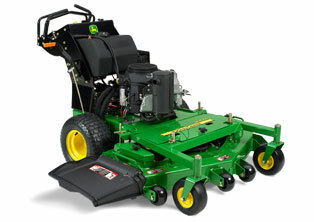 If you need parts for your John Deere Commercial Walk Behind Mower, you're in the right place. At GreenPartStore, we have all the parts you'll need to repair or maintain any John Deere equipment. Select your model below, or enter a part number into the Part Search box above. We have blade spindle bearing kits, dry charge batteries, electromagnetic PTO clutch assemblies, fuel tank caps, motor oil, and everything else you need. At GreenPartStore we make customer service a top priority, so if you have any questions or you don't see the part you're looking for, please contact us.